MANILA (UPDATE) - Vice President Leni Robredo's lawyer on Wednesday listed down the country's many woes, in response to President Rodrigo Duterte calling his client "incompetent." Inflation is 5.2 percent, the peso is at P53 vs the dollar, rice costs P42 per kilo and the government plans to add P1.19 trillion in foreign borrowings, lawyer Barry Gutierrez said. Traffic is also worsening and killings seemingly happen every day, he said. "Incompetent? Nagsalita ang magaling (Look who's talking)" he said in a statement. 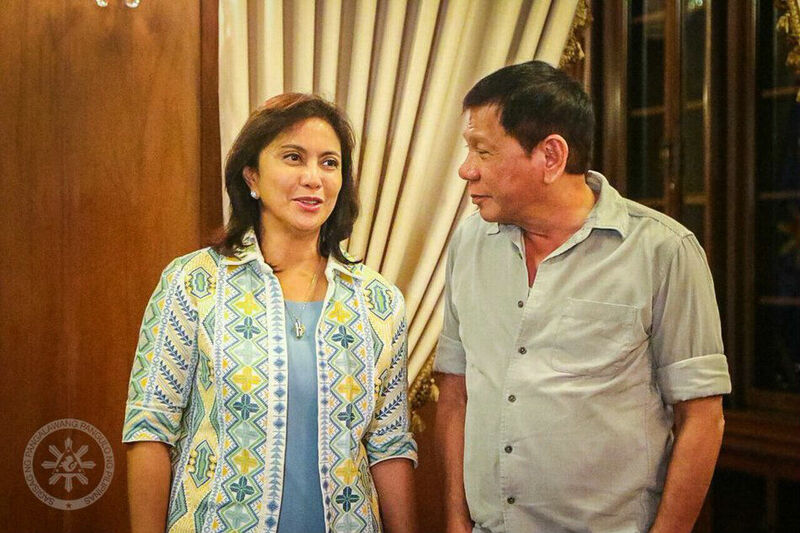 Duterte criticized Robredo's leadership skills hours after she announced that she would lead a "united opposition" composed of the Liberal Party, civil society groups, and possibly, ousted Chief Justice Maria Lourdes Sereno in next year's mid-term elections. Members of the Robredo-led Liberal Party meanwhile expressed dismay over the President's remarks against the Vice President. Liberal Party president Sen. Francis Pangilinan called Duterte's remarks "unfortunate." "Vice President Leni has shown her competence through compassionate, empowering, and responsible leadership," he said in a statement Wednesday. Erin Tañada, LP vice president for external affairs, meanwhile alleged that the attacks on Robredo seemed to favor the Marcos family. Former Sen. Bongbong Marcos is contesting Robredo's May 2016 electoral victory before the Presidential Electoral Tribunal. "More disturbing in the attacks is the obviously pro-Marcos stance of Solicitor General Jose Calida in the late dictator’s son electoral protest against our Vice President," he said in a statement. "It appears that the attacks on Vice President Leni are based on Bongbong Marcos’ plan to subvert the people’s will and revise history in their family’s favor," he added. Robredo, the LP chair, quit as chairperson of the Housing and Urban Development Coordinating Council in December 2016 citing policy differences with the President.